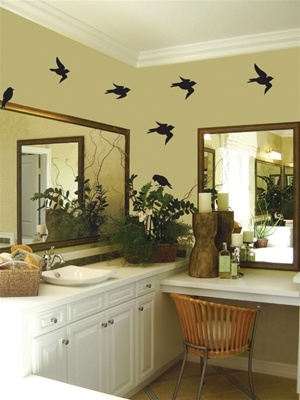 Need some birds to go with your branches? 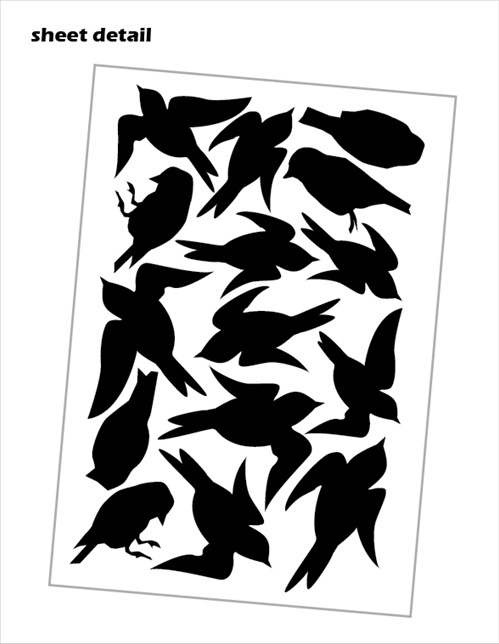 These wall decals stickers come add a hint of whimsy to your walls or windows! Used these with a tree decal and it looked great. They look so great and were so easy to apply! I love the wall slicks and thought it may be a problem on a wall that is textured like my orange peel walls but it worked fine. I ordered a second sheet of bird.